Author of the “Kinsey Millhone Alphabet” mystery series has passed after a battle with cancer. The series began in 1982 with A is for Alibi and now ends with Y is for Yesterday. The final installment, Z is for Zero, was scheduled for publication in 2019. The author was adamant that her books not be ghost-written, so Kinsey Millhone unlikely to have a neat ending. The series earned Ms Grafton best-seller status and numerous awards. Her novels were published in 26 languages. There’s buzz in the nonprofit community about what kind of impact the newly passed tax legislation will have on charitable giving. For some middle income filers, who normally itemize, contributions to charity won’t be deductible in the future. For those in a financial position to do so, some suggest contributing more than one year of donations to your favorite charities before midnight on Sunday 31 December 2017. The Friends of the Ocee Library is a non-profit group whose purpose is to promote general knowledge of library services and to provide financial assistance for special library needs and events. Our primary focus is on children's services. If you can make a financial donation to Friends of Ocee Library, you can do so online through Georgia Gives Day. Feeling guilty for not spending enough time with your under fives? The good news is that quality time matters more than quantity. Having fun is the main thing. Try eating together - older kids can help with food prep. 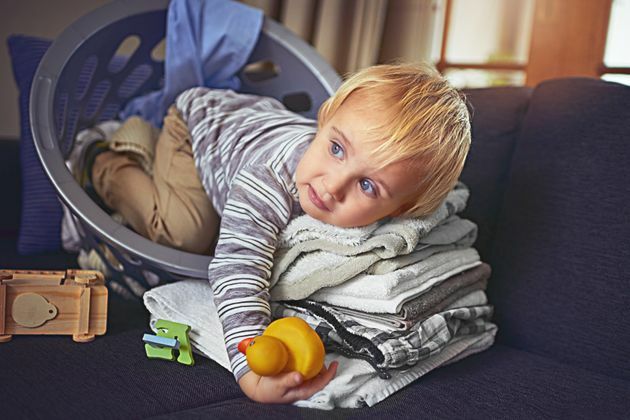 Let them help with other chores around the house like unloading the dryer. Turn up the tunes and dance! Get away from the same daily routine and try something new. READ, READ, and READ some more. Besides books, the library offers story-telling, music, art programs, movie showings, and more. Pick up a calendar next time you're in and get to know Ocee kids' librarians Ms Kennedy and Mr Brown. You get to to "revisit childhood favorites." "They truly understand how big of a nerd I am. It humanizes me …"
Adding "our own little flourishes to certain favorites." Esquire and Signature have their "best of" lists out for year end/winter reading. What books have you missed? There's lists of books on the power of silence and conversation-worthy books to advert dinner disasters. We will reopen on Tuesday, January 2, 2018. Sunday, December 17 from 4-5:30 pm. Atlanta Symphony Orchestra Principals Christina Smith (flute) and Elisabeth Remy Johnson (harp) will present a family-friendly program of flute and harp music, along with discussion of the musical selections and their instruments. Free and open to the public. 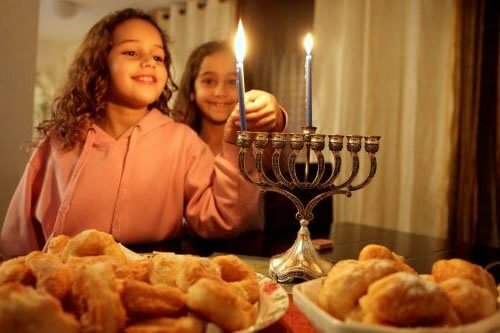 Take a look over these family Christmas traditions that aim for quality over quantity! 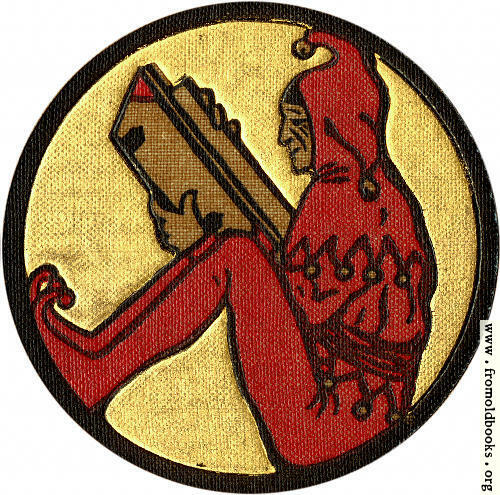 Books, charity, food, and experiences are the common thread. Which ones will you adopt for your family and friends? Libraries remain closed today due to icy conditions. They are scheduled to open Sunday. Visit the AFPLS website to manage your account or download materials. Libraries in the AFPL system will close at 1:00 today due to the weather. If you must be out on the roads, be safe. Mental Floss reports, "if you're trying to commit something to memory, you shouldn't just read the same flashcard over and over. You should read it aloud, according to a new study from the University of Waterloo in Ontario, Canada. The research, published in the journal Memory, finds that the act of reading and speaking text aloud is a more effective way to remember information than reading it silently or just hearing it read aloud. The dual effect of both speaking and hearing helps encode the memory more strongly, the study reports. The new research builds on previous work on the so-called production effect by Waterloo psychologist Colin MacLeod, who is also one of the current paper's authors. " Georgia Gives Day is an online giving platform for Georgia non-profits. Giving Tuesday is an international day of giving back. Show your love for the library with your tax deductible donation! Or give of your time by volunteering! Fulton County will open 18 early voting sites for the Municipal General and Special Runoff Elections. Early voting polls will be open November 27, 2017 through December 1, 2017 from 8:30 am – 7:00 pm. 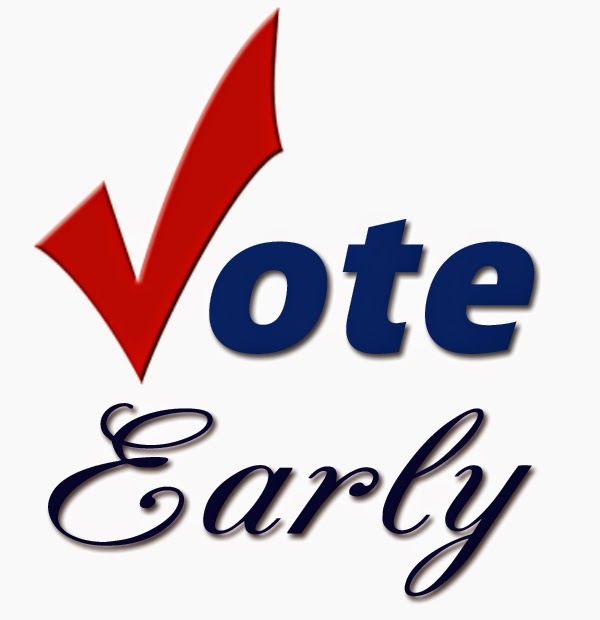 To see the list of early voting locations Click Here . Tuesday, November 21. 4:30 pm – 5:30 pm. We’re always looking for extra cash and credit cards can easily seem like the best option for teenagers. Join us as we teach wise credit decisions, choosing a credit card, your credit score, and the importance of understanding how spending today will affect you in the future. Aimed at middle and high schoolers. Sponsored by UGA Extension – Fulton County. Tuesday November 21. 10:30 a. – 11:30 am. small, Small World. small, Small World is a multi-sensory learning experience for children ages 2 to 4 and their caregivers. Each session participants will embark on a 40-minute journey to far-off locales where they learn about children around the world through music, movement, art, and literature. A free program funded by the City of Johns Creek. Advance registration required. Class size is limited to 12 participants. Register online at www.johnscreekarts.org. Wednesday, November 22. 11:00 am – 12:00 pm. Come visit the library and learn all about what happens to water before and after you use it. See the journey it takes to get all cleaned up. Find out where all the water goes once it's all cleaned up. Presented by David Horton. Sponsored by the City of Johns Creek. Please note holiday hours for the AFPL system. Sundays: November 12. 19. 4:30 pm – 5:30 pm. Wednesday: November 15. 10:15 a.m.
Tuesday: November 14. 10:30 am – 11:30 am. Tuesday November 14. 2:00 pm – 3:00 pm. An audiobook club open to the adult and senior community! This trailblazing book club doesn’t just read, we listen! Join us for thoughtful discussion about books that inspire us, inform us, and connect us to each other! Free and open to the public. Ages 18 and up. For information call 770-360-8897. Thursday, November 16. 6:00 pm – 7:00 pm. A topical crash course featuring AFPLS databases with Ocee’s Adult Services Librarian, Mr. Ryland Johnson. Learn how to navigate EBSCO Databases for research. Great for high school students, college students, and professionals! Adults & students of all experience levels are welcome. First-come, first-served. Laptop users welcome. Adults only ages 17 and up. Adult Reference Area. Saturday, November 18. 10:30 am — 11:30 am. Explore potential confounding factors such as processing speed deficits and learning differences, familial expectations, generalized anxiety disorders, metacognition, and self-regulation strategies. Help your students take the edge off of high-stakes testing. Teens ages 13+ and parents. No registration required. What a creative & informative way to help find forever homes for their shelter cats & dogs! Try looking to the stars for your next book. Whether or not you believe in astrology, Bustle looks to the zodiac to help you find what authors you should read. Thank-you to everyone who donated coats at Ocee library for North Fulton Community Charities! A car trunk full of cosy warm winter wear was delivered to NFCC for their Warm Coat Day this Saturday. Wednesdays: November 8. 6 pm. – 7pm. All branches of the Atlanta-Fulton Public Library System will be closed in observance of Veterans Day on Friday, November 10 and Saturday, November 11, 2017. You can renew your books online by visiting afpls.org or downloading the AFPLS app in app store (iOS only, at this time). Brrrr! Imagine this morning without a warm coat or clothes. Friends of Ocee Library is collecting coats for North Fulton Community Charities Warm Coat Day. Please consider donating your gently used coats and winter-wear to keep someone else warm this winter. You'll find a donation box in the lobby until Thursday 2 November. Georgia Gives Day is an online giving platform for Georgia non-profits. Giving Tuesday is an international day of giving back the Tuesday after Thanksgiving 28 November. Show your love for the library with your tax deductible donation! It began will Mary Shelley's Frankenstein 200 years ago. Mental Floss recommends these modern women horror writers just in time for Halloween! Read more about these talented authors and then check the library for their novels. And leave the lights on! Wednesday November 1. 6pm. – 7pm. Learn basics of Java, including basic programming, conditions, “loops”, and arrays. Java is an essential and popular programming language used to make mobile applications in Android. Laptops welcome. Grades 6 and above. No younger siblings please. Registration required. Limit first 30. Register at Patron Services desk or call 770-360-8897. Thursdays: November 2, 9, 16. 4pm. - 6pm. Saturdays:November 4, 18. 4pm. – 5:30 pm. Learn the basic techniques of drawing, painting, elements of art, principles of design, and cartoon/anime’ drawing. In preparation of Election Day, Tuesday, November 7, 2017 the Fulton County Department of Registration and Elections urges residents to visit www.mvp.sos.ga.gov to verity their polling place before heading out to vote. On Election Day, residents must vote at their assigned polling place. Early voting continues until Friday, November 3, 2017. Fulton has 22 Early Voting Locations throughout the county. Registered voters can vote at either of the locations that are open until 7:00 p.m. Visit Fultonelections.com to learn more. Mental Floss presents the spookiest ghost stories for each state. We'll start you out with Georgia. When the Army Corps of Engineers flooded the foothills of the North Georgia mountains to create Lake Lanier in the 1950s, 59 square miles of farmland, homes, and businesses disappeared beneath the water. In the process, the federal government relocated more than 250 families—along with 20 cemeteries and all their corpses... read more! Friends of Ocee Library is now participating the AmazonSmile - a shopping rewards program to benefit charities. When you sign up and shop, Amazon will donate .05% percent of your order total to your favorite non-profit (Friends of Ocee Library, please!). There is no cost to shoppers. Money raised from the Book Nook and the smile program helps fund library programs and buy materials. Saturday, October 28. 2:00 p.m. – 5:00 p.m.
Join us for a fun afternoon featuring a movie starting at 3pm, games, and apple fun! Courtesy of Ocee Friends. Please donate your gently worn coats, hats, gloves, scarves by November 2. All sizes are needed! You'll find a donation box in the foyer. Thank-you for your warm kindness! Thursday, October 26. 6:00 p.m. – 7:00 p.m.
A topical crash course featuring AFPLS databases with Ocee’s Adult Services Librarian, Ryland Johnson. Learn simple techniques to evaluate the quality of online information. First-come, first-served. Laptop users welcome. Ages 17 & up. Adult Reference area. In a related article, researchers explain why constantly checking social media can harm your mental health. They also include ways to cope. It's no surprise, the library plays a part! The Atlanta Fulton Public Library System has 23 Friends groups who volunteer their time to raise funds for their branch library primarily though memberships and book sales. Please visit Friends of Ocee Library's Book Nook. All profits from sales help fund programs and buy materials for Ocee! Tuesday October 17. 10:30 a.m. – 11:30 a.m.
Tuesday October 17. 2:00 p.m. – 3:00 p.m.
Wednesday October 18. 6:00 p.m. – 7:00 p.m.